The Right Tires Not Only Contribute To Good Ride And Handling, But Safety As Well. Your car’s tires work incredibly hard and take enormous strain during every drive, but they are often overlooked since they aren’t as expensive or complex as parts like the engine or steering system. If you want your car to take care of you, you need to take care of your tires, and there are plenty go ways to stay on top of care and maintenance.The first thing you need to learn is how to spots signs of wear and tear. Luckily, many signs are obvious; if your tires are inconsistently holding pressure, show worn patches, or have holes that need patching, replacements are certainly required. Of course, other issues won’t make themselves quite as apparent, including those centered around balance and alignment. When one of your tires wears down more quickly than the others, you may notice vibrations, decreased fuel economy, and less responsive performance. You’ll also be at increased risk of tire blowout, so it’s vital that your tires are properly balanced and aligned on a regular basis at Jay Wolfe Toyota of West County’s Service Department. Even without discerning signs of damage, major performance issues can develop if your vehicle is made to go too long between tire replacements. Your tires won’t maintain so dependable a grip on the road below, especially during adverse weather conditions or while crossing uneven terrain. When the tires are worn down, other parts and systems are forced to compensate, often to their own detriment. If you’re ever worried that your tires might not be performing as they should, a simple way of assessing their condition is by inspecting the indicator bars and treads. All you really need to do is take a penny, slip it headfirst into one of the grooves that gives your tire its grip, then look at how far Lincoln’s head protrudes. If the head is covered, your tires still have an effective degree of tread; if the head is entirely visible, it’s time to visit the Jay Wolfe Toyota of West County Service Department and have your tires replaced. A car can’t be considered safe, properly maintained, or even fun to drive, if its tires are not regularly inspected. 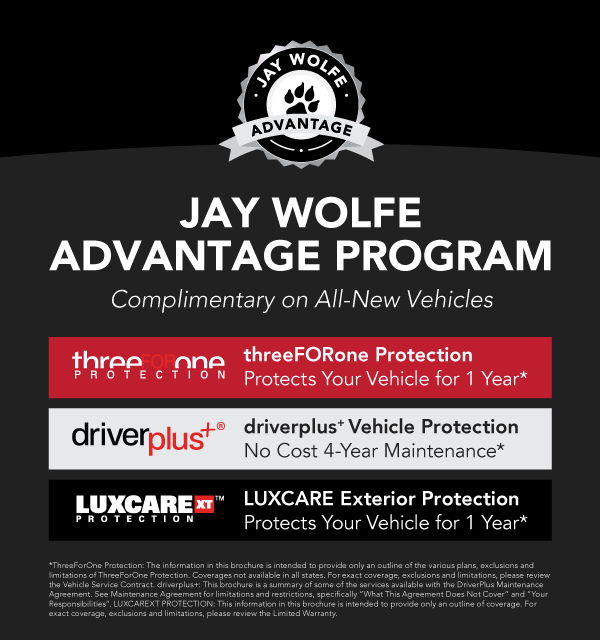 Optimum performance and overall peace of mind depend on them, so make sure you schedule an appointment at the Jay Wolfe Toyota of West County Service Department today.